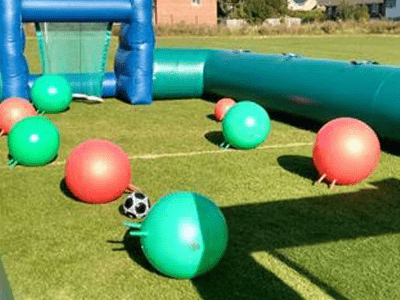 Space Hopper Football uses Adult size space hoppers and guarantees Spaca lot of laughing and a lot of bumping and hopping! Come along and play a game of space hopper football with your stag/ hen party in a space hopper football match. They say it’s all about scoring goals but the main aim of this game is to bounce around and laugh at your friends falling off their hopper! Please note due to team sizes there is a minimum group size of 8 required to ensure a good game.